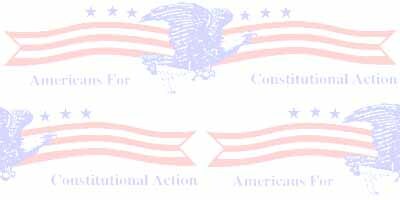 The Constitution of the United States of America, the Supreme Law of the Land, establishes a LIMITED federal government in America, supposedly representative of WE THE PEOPLE. LIMITED MEANS RESTRICTED BY LAW - If something is NOT EXPLICITLY AUTHORIZED IN THE CONSTITUTION then the Federal government is prohibited from engaging in that activity, and the government is, of course, supposed to be prohibited from doing anything that the Constitution explicitly forbids it from doing !!! Now, the Constitution, of course, authorizes the federal government to lay and collect taxes in order to ensure the operation and solvency of the government and the nation. However, because the founding fathers truly did understand that the power to tax is indeed the power to destroy, it does so very specifically and carefully in order to ensure that the taxing authority would never become the same tyrant (the King of England and his hoard of tax collectors) that the Constitution was created in order to vanquish. So, the Constitution very carefully divides the power to tax into two categories, Direct and Indirect taxation. Indirect taxes are authorized to provide for the operation of the government and its legitimate functions and are made subject to the rule of uniformity, which simply means that everyone must be treated the same and is taxed at the same rate as everybody else for similar activities. Direct taxes are authorized to ensure the solvency of the nation (to pay debts off in a timely manner) and they are made subject to the rule of apportionment (according to the last census). Now, what the rule of apportionment means is that the Federal government DOES NOT COLLECT DIRECT TAXES FROM CITIZENS – it collects them FROM THE STATE GOVERNMENTS. Each State’s government (Treasury) is responsible for its citizens’ proportionate share of the total direct tax laid by Congress. The proportionate share that each state must pay is calculated based on the population count for the State in the last census taken. So if ten percent of the population counted in the last census lived in California, the California government would have to come up with ten percent of the Direct tax that was laid by Congress. Please notice that in order to tell each State how much it must pay, Congress MUST SPECIFY exactly how much money is to be raised by this tax. Once the amount is fixed, then and only then can the State’s begin to make arrangements to raise the money. Otherwise, the states would know neither how much money to raise (above existing treasury levels), nor how much they were actually liable to pay. So direct taxes are never paid by the citizen to the federal government directly, they are paid by the State governments, thus preventing the TYRANNY that inevitably results when the government arrives on the doorsteps of the citizens and demands arbitrary amounts of money from them in the name of tax. The Founding Fathers were very familiar with this tyrannical reality, and they removed this cancer from the American landcape forever, or at least they thought they had, by Constitutionally forbidding the Federal government from ever taxing the citizens directly, unless apportioned to the States for collection. Now, Indirect taxes (imposts, duties, and excises) are also rarely collected by the federal government itself (except at the borders). Indirect taxes are generally collected by third parties that are not employed by the federal government directly, but are merely collecting taxes for the government as a function of their own business. For instance, the liquor store, the drug store, the gas station, the airline, etc. In all of these cases taxes are collected and paid over to the federal government, without the taxpayer ever dealing with or being confronted by the government. (In the case of alcohol, tobacco and other items the "stamp" tax paid by the merchant to acquire the items is simply passed through to the final consumer through price increases to accomodate any increase(s) in the tax (cost of the tax stamps on the items)) You either pay the price (including the tax) at the cash register (which you should know about ahead of time) and choose to do so, or you don’t get to buy the liquor, gas, cigarettes, etc. at the store. If you don’t want to pay the tax, you don’t have to - you can go home and make your own beer, grow your own tobacco, and drill for oil in your backyard (not recommended), etc. And because the government is never involved, and never forces anyone to pay a tax that they don’t want to pay, the system works without creating any animosity between the government and its citizens. The essence of the ENTIRE tax system UNDER THE CONSTITUTION being: that the Federal government is NEVER ALLOWED to directly demand money from the citizens in the name of tax. IT IS STILL FORBIDDEN. The reason why is that the Founding Fathers understood completely that this is the pentultimate definition and very essence of TYRANNY; because no individual, regardless of how wealthy or powerful he or she might be, can withstand the might of the State if it is allowed to bring that might to bear against the individual in disputes over nothing but money. (Ask Mikhail Khodorkovsky !) The game is always rigged ! Its always the same - throughout history, and still today, even here in America - just look at the IRS. That is why the Founding Fathers absolutely prohibited it in the Constitution ! In the early centuries A.D. men feared the Fire Breathing Dragon, a great mythical creature of indeterminable and undefeatable power which burned individual men to ashes with a single breath. Today, believe it or not, we live with the same MYTH, about a "creature" of great and undefeatable power. Our DRAGON, our national curse and disgrace, our BEAST, is, of course, the IRS. Most Americans fear the IRS out of ignorance of the law. Knowledge dispels hysterical fears of the unknown and makes possible the vanquishing of our foes. These information web pages have been assembled in an effort to help all American citizens overcome their own unfounded, hysterical fears of the IRS by making them knowledgable about the law imposing income taxes, and how those laws affect you, the American citizen. Once you know the TRUTH about the tax laws, the unconstitutional and illegal reign of terror orchestrated by the IRS in America for over 50 years will finally be over. THE CODE HAS BEEN BROKEN ! According to the Supreme Court, the income tax is an indirect tax that, like a sales tax in the fifty States, is collected indirectly by federal tax collectors who shift the burden of the tax they pay to the underlying subject taxpayers by withholding money as tax from payments made to those taxpayers. The following pages, all showing the actual legal code sections that the IRS themselves cite (mostly), should serve as proof beyond any reasonable doubt what-so-ever that the income tax laws are being intentionally mis-applied to all American citizens. To understand just how important the Paperwork Reduction Act is to tax law, keep in mind that since 1980 the IRS has been required by law to provide a notice of it to you with every single piece of correspondence they issue to you. You can find a copy of this notice on Page 1 of any Form 1040 Tax Instruction Booklet (or see The Paperwork Reduction Act Notice).